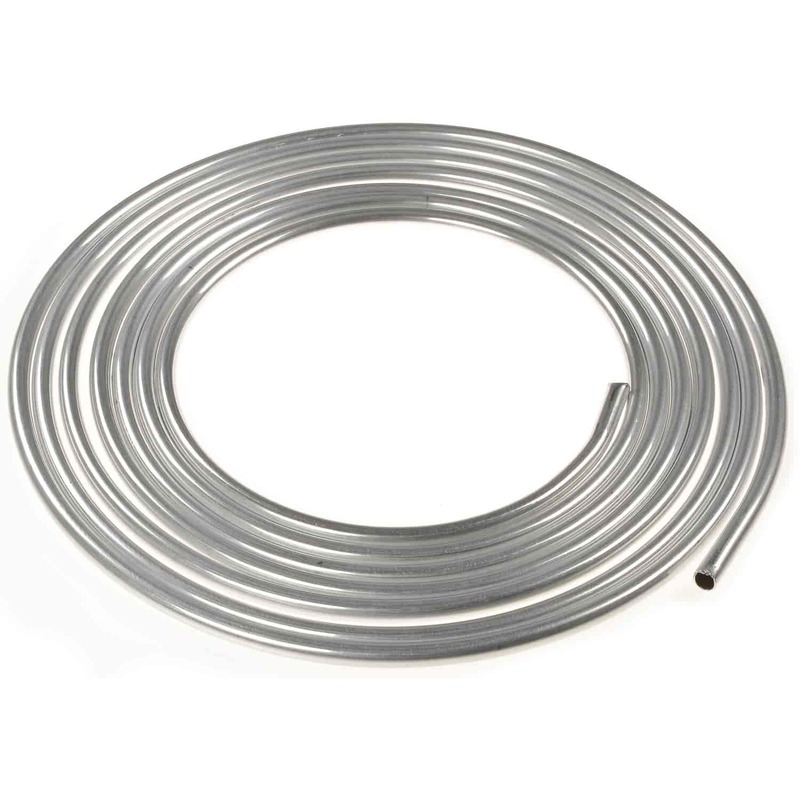 JEGS Aluminum Fuel Line is a 25-foot coil of seamless aircraft 0.035" tubing easily formed into the shape you need. Designed for use in carbureted applications under 25 psi. Available diameters: 3/8", 1/2", and 5/8". 15101 is rated 5.0 out of 5 by 4. Rated 5 out of 5 by Danl 420 from I LOVE JEGS! I love having this huge car parts store at my fingertips! Super shipping, great people and prices. Rated 5 out of 5 by VenomGT from Great Quality, the same as more expensive brands What can I say, this is the cheapest 25' of aluminum tube and it is the same as more expensive tubing I have purchased before. Great value! Rated 5 out of 5 by Freydaddy from Easy to bend, don’t necessarily need a tubing bend Bought this and upgraded from 3/8 line up to 1/2”. Pleased with ease to route and a lot less than braided line. Which series is the Aluminum? There is no series information available on this fuel line. it is rated for 25 psi working pressure and is soft enough to conform to most routing. What is the actual maximum operating pressure of this line? I have read 250psi but it is listed for only 25psi. And the thickness is labeled as .035 and the 37&deg; flare tool 555-80084 says it is for .040 thickness. Are these compatible with each other? The rated working pressure of this line is 25 PSI.